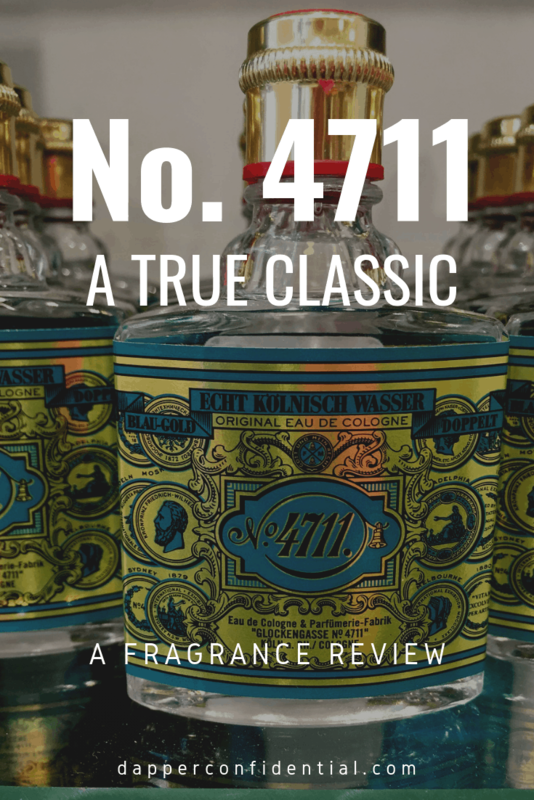 Cologne with a long and legendary history is intriguing, and No 4711 Cologne for Men certainly has one worthy of description. The cologne's founding goes back to the 18th century when the Johann Farina family left Italy and traveled to Cologne, Germany where Johann created and sold his "eau de cologne," (cologne waters), which soon gained wide popularity. By the early 1800's, Wilhelm Mülhens, a merchant, was more than interested in banking on the cologne and the Farina reputation, and as legend tells it, he was given the secret recipe for the "aqua mirabillis" (miracle water) in 1792 by a Carthusian monk as a gift for Wilhelm's wedding. Mülhens became interested in banking on the cologne and the Farina reputation, and he obtained the rights to produce the cologne in its original formulation. He started his own factory in Cologne, licensed the scent under the Farina name and distributed the product to a number of other people, but by 1835, legal action voided the licenses and forced closure of the affiliated businesses. Anxious to resume production, Mülhens sent his son to Italy to find another Farina and once again establish the company through that name. More legal actions ensued and Mülhens’ grandson, Ferdinand, appropriated the "4711" name for both the company and the cologne, as the Mülhens family had been legally barred from using the Farina name. 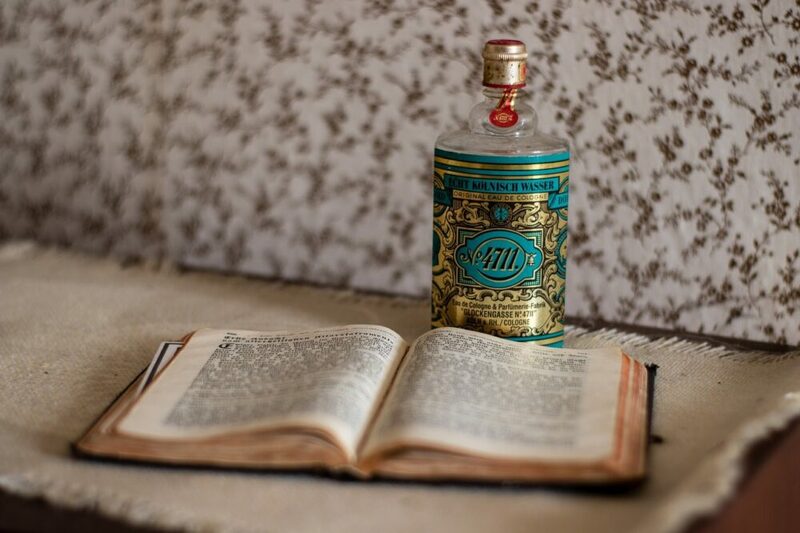 By 1845, a trademark was obtained for the "4711 cologne." The actual identifying number came from one that had been assigned to the Mülhens Glockengasse building in 1796. 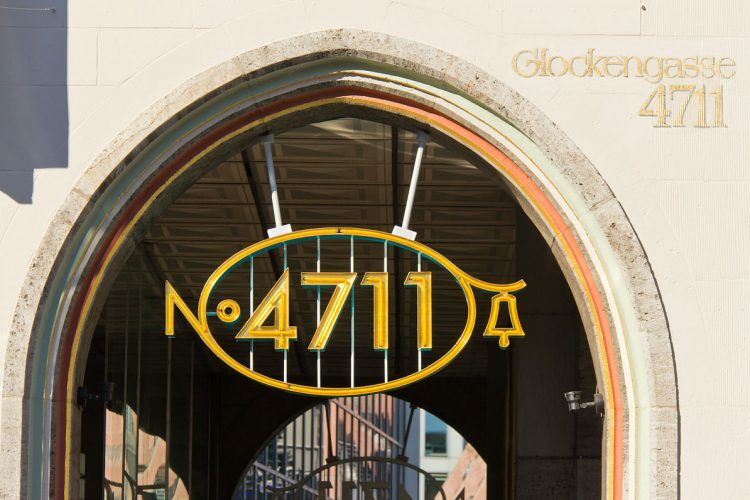 Today, the once historic building no longer exists as it lost its place to city redevelopment, but the 4711 number is still alive and another Glockengasse building was later constructed to accommodate further cologne production. 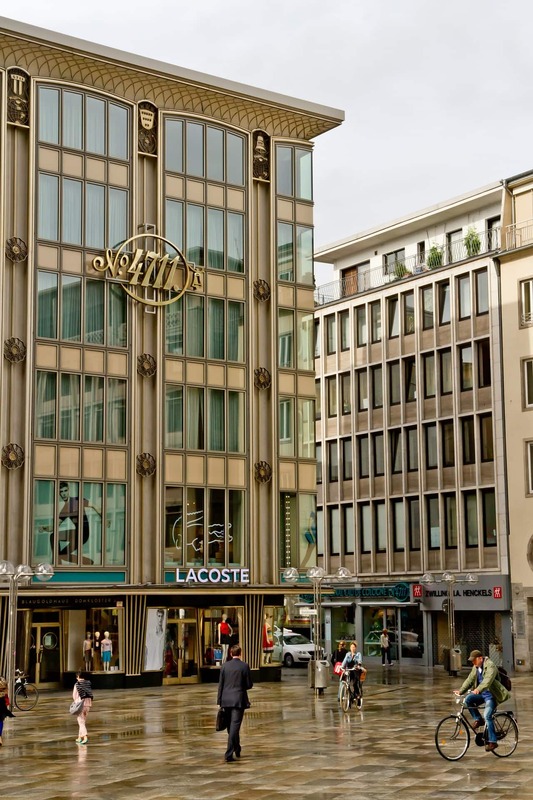 The company was sold in 1994 to Wella hair care and in 2003, Procter & Gamble acquired it, but by 2006, Proctor & Gamble, troubled by market loss over 4711, sold the brand rights to Mäurer & Wirtz, a subsidiary of the Dalli Group. 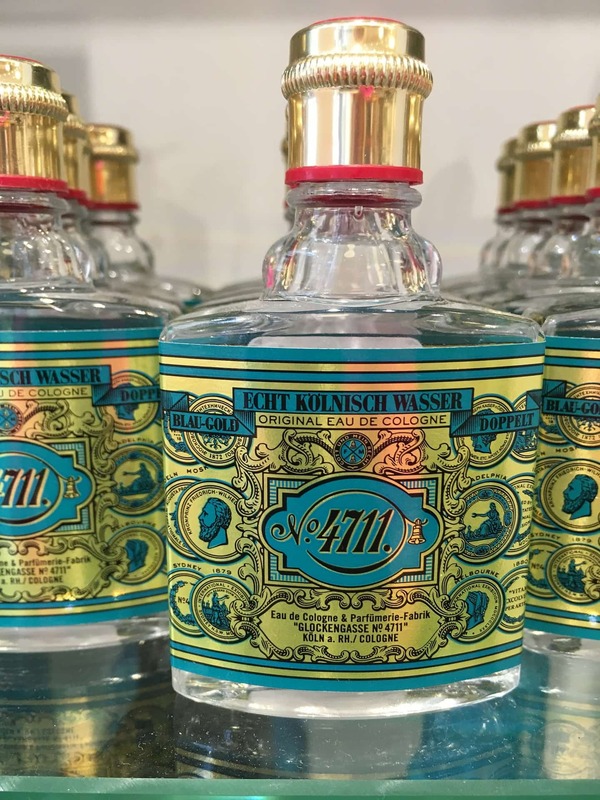 Today's 4711 cologne follows its traditional "secret" formulation of citrus oils, herbals, flower extracts, water and alcohol, though subtle changes have been in the works over the last few years to update the formula. 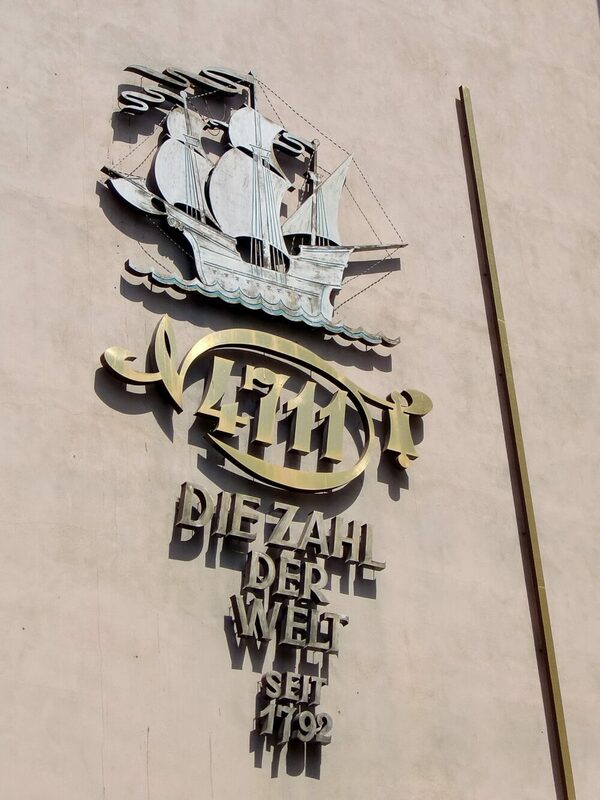 Its 200 year old history and formulation has faced challenges in today's market, though there are still perfume and cologne aficionados throughout the world today that live by 4711’s original clean, crisp and fresh scent. When I wear 4711 cologne, I find that the cologne's top fragrance notes of orange, bergamot and lemon are stronger while the peach and basil notes are more subdued. The middle notes through cyclamen, melon, lily, Bulgarian rose and jasmine seem to be overshadowed by the jasmine and basil, which I feel are at the heart of the fragrance, or the most prominent of the middle notes. The base notes in musk, patchouli, Tahitian vetiver, sandalwood, cedar and oakmoss give more of a lasting impression. In my experience with the cologne, my nose says Tahitian vetiver, musk and sandalwood reign. Below the base notes, I continue to sense melon and peach. As far as projection (or sillage) is concerned, the cologne's scent trail is a matchless blend of citrus fruit and savory herbs. It outclasses other colognes that may have similar scents, but because of the cologne's secrecy, history and time frame in the marketplace, it has certainly endured, and its sillage is instantly recognizable. There is not a strong afterglow with 4711 and an initial whiff is fleeting, so there is little scent that travels beyond the wearer and into the surrounding environment but again, I and other 4711 users have to remember it is a cologne, which actually means eau de cologne, or cologne water and has lower percentage concentrations of ingredients. Longevity, or staying power, is not a strong suit for 4711. As it is cologne, it is more of a freshener as opposed to a scent that will last for hours beyond application, and I, and others have found staying power to be lacking with 4711. The natural freshness of the cologne however makes up for the longevity, and if reapplication is necessary, a splash or spritz can do wonders as a refresher. Classic 4711 Cologne for Men continues to impress a new generation with its citrus explosion and budget-friendly price. Its harmony of orange and lemon in combination with sandalwood and floral infusions provide a balanced and clean scent that is perfect for any occasion, though I prefer it for spring and summer, it can be used throughout the year as an invigorating yet calming and relaxing freshener. With its colorful, legendary and long history associated with the city of Cologne and Germany, No 4711 cologne is a true classic and worth a spot in any fragrance collection.